The international aerospace salon MAX-2015 finished the work. Within six days it passed in airfield of Flight and research institute of a name of Gromov in situated near Moscow Zhukovsky. The main events on MAX-2015 in the civil sphere were generally connected with domestic regional plane of "Sukhoi Civil Aircraft Company" (GSS) – SuperJet 100. Contracts on it, really, it was signed much. The state transport leasing company (GTLK) and GSS signed the firm contract for delivery of 32 Sukhoi SuperJet 100 planes for their subsequent transfer on the terms of operational leasing to the Russian regional airlines. In particular, on MAX-2015 the firm contract with GTLK on delivery of 20 SSJ was signed by Yamal airline. Will receive in leasing of SSJ 100 "Bural" and «The Tuva airlines», 15 and 10 planes respectively. 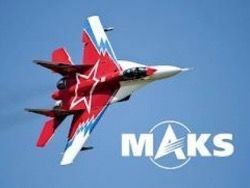 Important event MAX-2015 became for the first time the review of requirement presented by "United Aircraft Corporation" (OAK) in aircrafts both Russian, and universal the markets. Till 2034, by corporation estimates, the Russian airlines 860 planes on $94 billion will be necessary. In the world, according to the review, in the next 20 years more than 38 thousand new civil passenger planes will be sold. The volume of deliveries of OAK which "daughter", by the way, are "Sukhoi Civil Aircraft Company", estimates at $4,8 trillion. However, it is not so clear, OAK will apply for what share of the market now. If short-range SSJ 100 already flies and arrives in airlines, one more new product of OAK – the MS-21 near medium-range aircraft – will depart only in 2017. However, OAK is ready to increase efficiency and to be reorganized. In a framework MAX-2015 it became known that OAK will divide into five divisions. «The division of civil aviation, a division of fighting aircraft, a division of special aircraft, a division of transport aircraft and the fifth – descended to us from the Ministry of Defence, already from the Oboronservice company – 16 repair plants, OAK-service holding (a service division)», – told the president of OAK Yury Slyusar. OAK is going to reduce prime cost of SSJ 100 on $2,6 million within three years. «We are sure that now the Russian suppliers and developers can offer the decision which under comparable conditions which treat both quality, and the price, at an existing course will be more attractive from the economic point of view, than those suppliers who at us already exist», – Slyusar told. In a framework MAX-2015 it became known about the beginning of operation of the important mechanism – guaranteeing residual cost of the Russian civil vessels. The agreement on creation and realization of such mechanism signed Sberbank and JSC OAK-Capital. According to the deputy minister of the industry and trade of the Russian Federation Andrey Boginskogo, the mechanism of a guarantee of residual cost should start process of formation of the secondary market of aircrafts in Russia. «Unlike foreign countries, we while have no such market. And meanwhile the regional airlines, which existence for our country it is vital, do not presume to get new vessels. They buy second-hand», – he told. Guarantees will extend on the first 100 made SSJ-100 planes and subsequently – MS-21. And though organizers MAX-2015 still finally did not sum up on number and monetary volume of the contracts signed in the sphere of civil aviation, deputy head Minpromtorga of the Russian Federation shared with journalists in some figures. «I know that the contract for delivery of 20 planes "Yamal" makes about $700 million, and total amount of the signed contracts on SuperJet – more than billion dollars», – he told. It is less than "defense industry"
On MAX-2015 a few military contracts were signed. As noted Boginsky, this year the salon «does a bigger emphasis on civil subject». In particular, four educational warplanes of Yak-130 in addition to four, already put under the contract of 2013 were sold to Belarus. Besides, the Belarusian military will receive five fighting vehicles of a surface-to-air missile missile system of small range of "Tor-M2K". This updating is made on the chassis which lets out the Minsk plant of wheel tractors. Also the Almaz-Antey concern declared the conclusion of the contract for delivery of Belarus of a set of Protivnik G radar station. MAX brought new orders to space branch. Two contracts on creation of satellites of remote sensing of Earth were received by the Russian corporation ВНИИЭМ – it will construct devices for Iran and Belarus. Also the company agreed with the British Surrey Satellite Technology about joint development of the small satellite, the firm contract is expected in 2016. One more agreement was signed by "Rosoboronexport" – till the end of 2015 Russia by means of the carrier rocket "Dnepr" will put into orbit the Spanish PAZ.Одним satellite from key events of an air show there was a meeting of the head of Roskosmos state corporation Igor Komarov with the general director of the European space agency (EKA) Johan-Deitrich Werner. Signing of the agreement on further cooperation according to the Ekzomars project within which in the 2016th parties plan to start to Mars the orbital device, and in the 2018th – the robot – a mars rover became its result. Besides, there were previously agreed time frames of realization of lunar missions in which Russia and Europe participate. So, "Long-Glob" device will go to space at the end of 2018 – the beginning of 2019, and the orbital device of "Long Resource" – in 2020. Terms of start of mission of "Long Soil", explained to journalists of Mosquitoes, will be specified still. EKA expressed interest to cooperation with Russia and in other projects – in particular, in expedition to the satellite of Mars to the Fobos. The chief representative of agency reported about it in Russia Rehn Pishel to journalists. Visitors on MAX-2015 was more than on an air show of two-year prescription. According to action management, in total in Zhukovsky in six days there arrived about 405 thousand people that almost on 65 thousand people more than in 2013. Did not manage and without records: for the first four days on present MAX nearly 165 thousand people visited – such for all history of carrying out air shows yet was not. And here the most mass day – Saturday, August 29 – to a record did not hold on everything slightly: 153 thousand people whereas on MAX 2013 on Saturday there were 157 thousand people came to an air show of this year. The last figure still remains an absolute day maximum. For transportation of such number of visitors on an exhibition it was used over 200 buses plying as from the next railway Rest platforms and «the 42nd kilometer», and from an intercepting parking at entrance in Zhukovsky. From Moscow in the Kazan direction started up also additional electric trains which took up the main passenger traffic. Safety of an air show was provided by 4 thousand policemen and the military personnel of Internal troops of the Ministry of Internal Affairs of the Russian Federation. For the aid to law enforcement officers involved the helicopter, a balloon and even two boats, protecting a zone глиссады the airport from unauthorized penetration from the Moskva River proceeding by a row. As well as organizers of an exhibition promised, weather did not introduce any serious amendments in the flight MAX-2015 program. Only in penultimate day during strong heavy rain flight performances interrupted on half an hour. However the majority of the audience at all did not begin to leave from airfield, expecting continuation of an enchanting aviation show. Daily in the sky over Zhukovsky rose over fifty aircraft. And if in the first three days when on airfield officials and experts had access only, the flight program was reduced till three o’clock, on Friday and target flights went all day – with 11:00 till 17:00 Moscow time. Audience saw both single pilotage, and performances of flight groups "Strizhi", «Russian heroes», "Russia", «Wings of Taurida», «The Baltic bees», «Falcons of Russia» and «The first flight». For the period of carrying out MAX-2015 transit of cars through situated near Moscow Zhukovsky was closed. Pass to the city the locals showing on entrance the passport with a mark about registration, owners of special passes from local administration and air show management, and also public transport could only. Today from 22:00 Moscow time all restrictions on entrance in Zhukovsky should remove, thanks to what the city through which there passes the route of regional value, it will not be necessary to go round on New Ryazan and to Egoryevskoye Highway. Also city routes of buses and the minibuses, changed for convenience of journey of guests and visitors on airfield will return to the usual scheme of work.